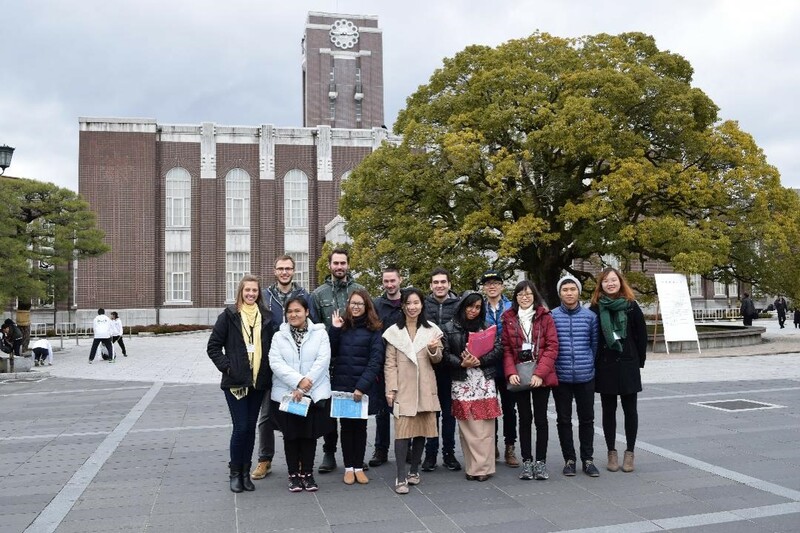 From 22 February through 16 March, the Graduate School of Global Environmental Studies (GSGES) hosted a spring school program for 15 graduate students from 12 universities (including Kyoto University) in 12 countries. All students were selected through a rigorous application process. The program presented lectures by 30 GSGES researchers on various environmental studies topics. 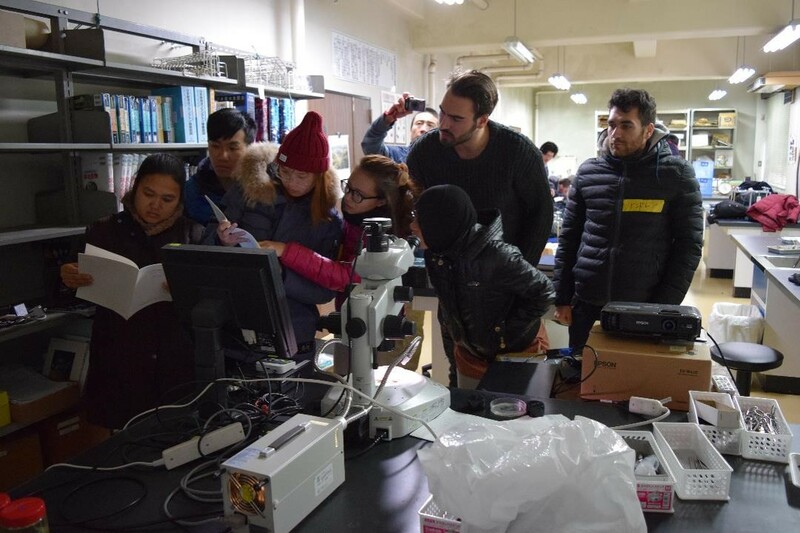 Some lectures were in the classroom and others were in the field. 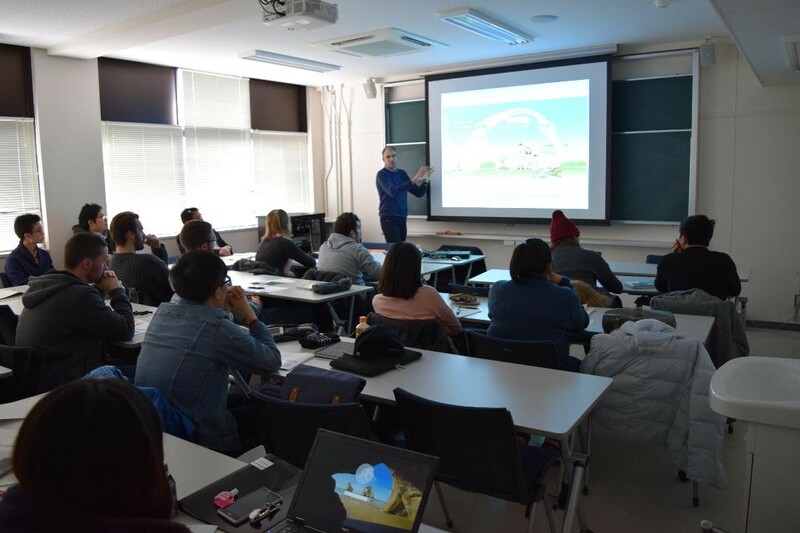 In addition, a guest professor from the Lille University of Science and Technology (Université Lille 1: Sciences et Technologies), France, gave a special lecture on atmospheric chemistry. The program proceeded as planned, with participants engaging in in-depth discussions on nuclear power and future energy prospects. 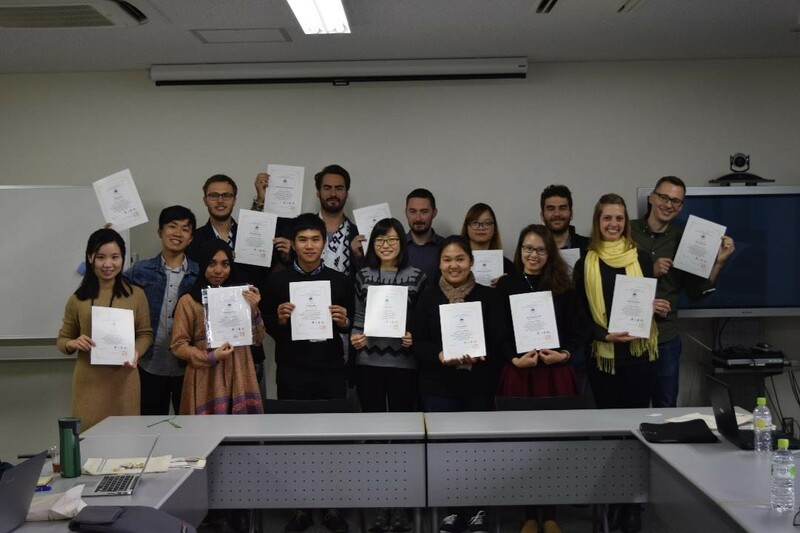 Through lectures and fieldtrips, topics were examined from the perspectives of three stakeholders — evacuees from the Fukushima nuclear disaster, scientists who had analyzed cesium levels in potentially contaminated fish, water, and sediments, and proponents of nuclear energy. Another focus of the spring school was rural communities. Participants first visited farming and fishing villages. Based on these experiences as well as examples from other countries — and with consideration for the cultural values involved — participants discussed the changing agro-industries, resource situations, and the possible steps that dwindling communities could take to ensure their survival (such as welcoming immigrants, utilizing traditional wisdom, and creating hobby-based work opportunities). 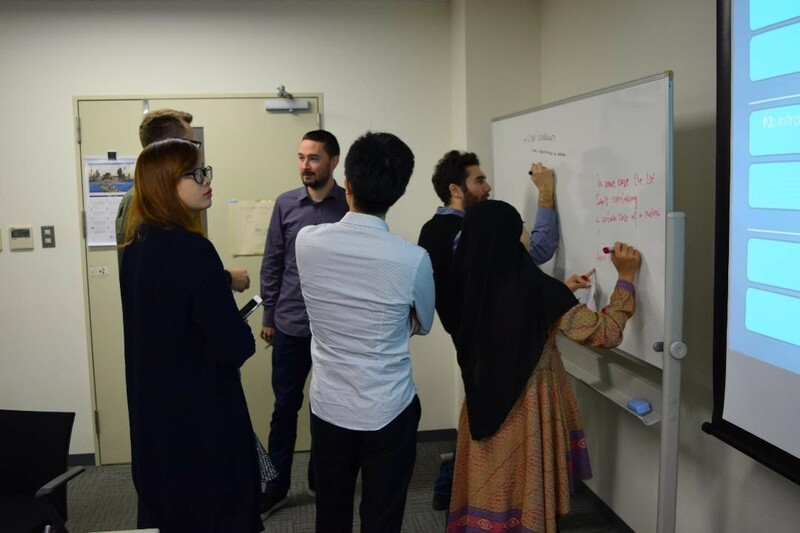 The entire program proceeded in English, requiring the participants to work hard to understand the information provided and to help each other with learning — and encouraging them to hone their communication skills. 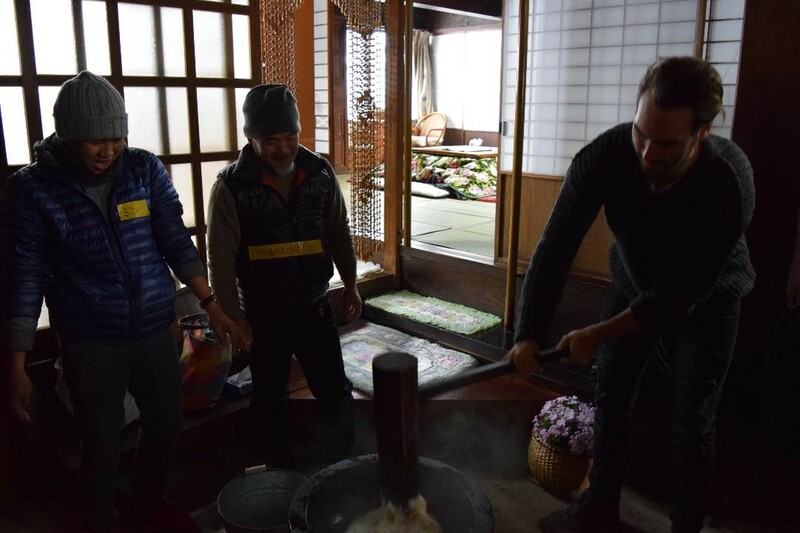 The school also offered opportunities to interact with village dwellers and experience Kyoto’s traditional culture, further enriching the participants’ learning experience.